This next beer is one I had out in the field. I didn’t have any intention of doing a review when I ordered it,Stout but after my first sip I couldn’t resist. Description: Billed on the brewery website as a traditional English-style oatmeal stout brewed with locally sourced coffee. Appearance: I watched it pour out of the tap as black as midnight and thick as oil. Smell: Blend of moderate light cream and sweet dark malt. Taste: It began with a smooth, creamy sweetness and grainy oat presence that gradually took on a very faint bit of roast by the finish. Mild, yet flavorful and incredibly drinkable. Mouthfeel: Smooth, slick medium body with low-level carbonation. Hype: Elevated for me. Swamp Head seems to be one of the more popular Florida breweries and I’d had a really good experience with them during my previous visit. Overall: I really enjoyed this. 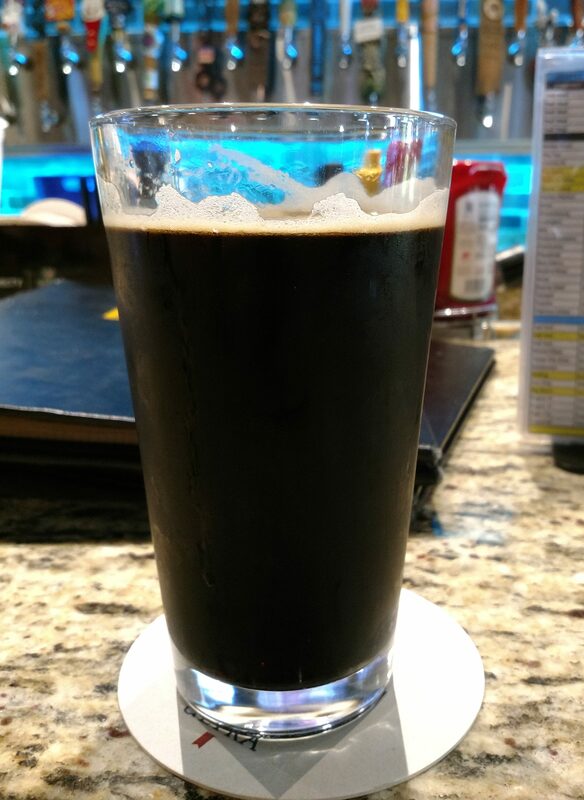 It was light, flavorful, and very easy to drink even in the Florida heat. I’ll for sure keep an eye out for this one my next visit. One of my hopes for my trip last week was that while in Florida I would be able to try out something out of the ordinary from one of the locals. This next offering certainly seemed to fit the bill, but let’s see how it tasted. 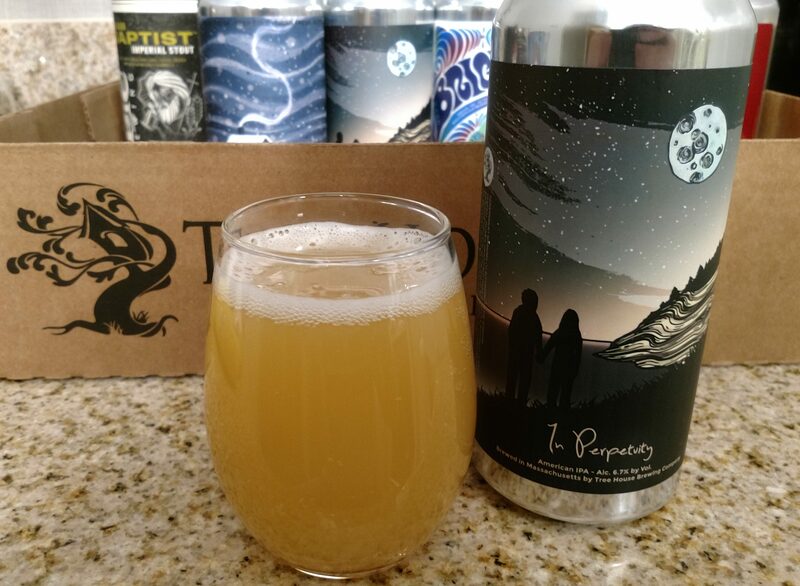 Description: Part of the brewery’s Mixology Series, this beer blends a double rye ale aged in High West rye barrels and a Belgian Tripel aged in wine barrels and infuses them with herbs and botanicals. Appearance: It poured a cloudy light brown body with a layer white foam. Smell: Sweet malts with a solid whiskey and rye backbone. Taste: Mildly sweet, with distinct notes of rye and oak on the front end with the influence of the barrels picking up around mid-sip. The finish brought on hints of Belgian yeast from the Tripel and a pervasive herbal presence that really took over the beer. Mouthfeel: Medium body with low carbonation. Hype: I was really intrigued by this one. I’ve definitely heard good about the brewery and it seemed like an interesting, if somewhat pricey, pickup at $6 a bottle. Overall: Well, it sure was interesting though I can’t really say that I liked it all that much. In its defense I will said that it tasted more or less as the name suggested, but something about those flavors being in beer form just seemed off to me. The barrel influences, Belgian yeast, and herbal notes really just didn’t come together all that well for me. Glad I split the bottle. Here I am, getting back into the swing of things after wrapping up a week and a half visit with family in Central Florida last week! With temperatures hovering in the mid-70s (a good 35-40 degrees warmer than what we left in Boston), it seems somewhat appropriate that one of my first beers from the trip is a warm-weather style. 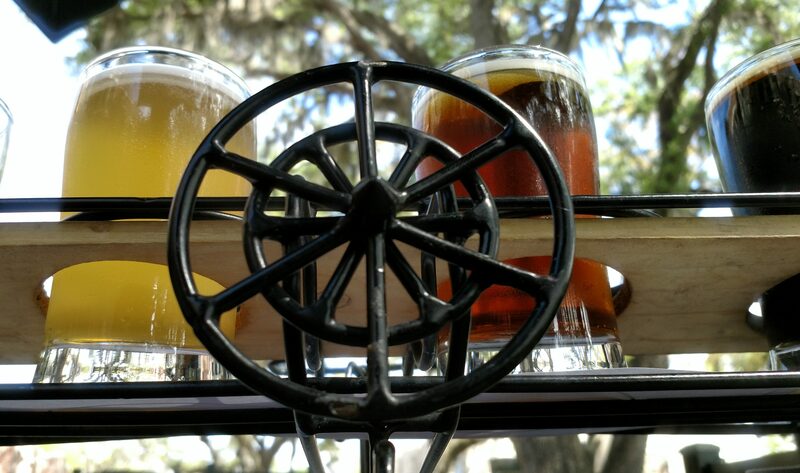 I had this on-tap during our traditional visit to Maggie’s Attic in Mount Dora. Description: The brewery’s “ultra deluxe” blonde ale. Read all about and get some of the brewing specs here on their website. 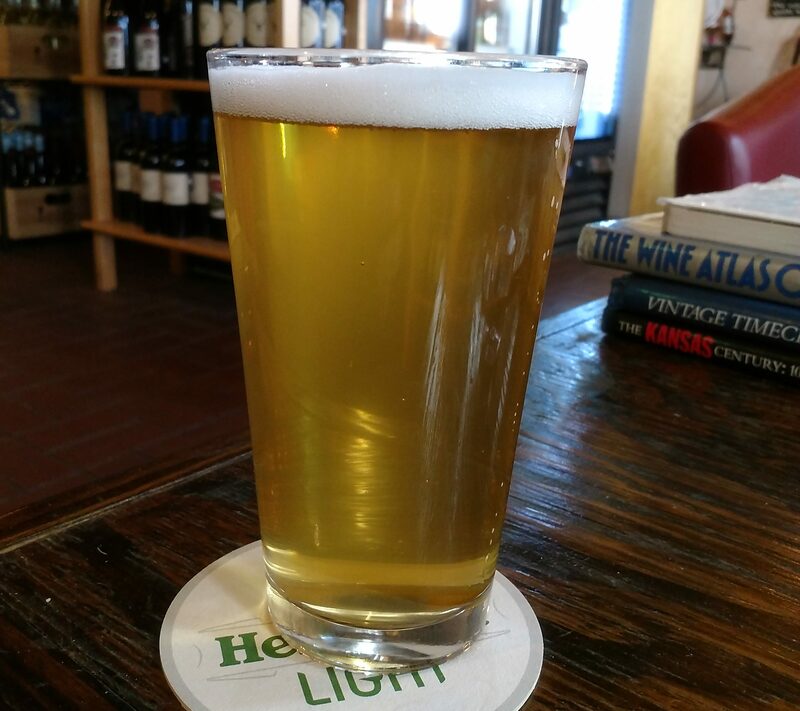 Appearance: On draft it poured a see through straw-yellow body topped by a thin layer of white foam. Taste: It began with crisp, mellow light malts and grains. From there it took on some mild fruit and light malt sweetness. Very balanced and smooth throughout. Mouthfeel: Roughly medium bodied with slightly less than moderate carbonation. Hype: None that I am aware of. I was just happy to see a friendly tap to help me get into the vacation mood. Overall: It was a very good beer for enjoying in warm weather. It’s not really of a style about which one can rave about big flavors, but for what this was I enjoyed it. The beer offered everything I was looking for in the style, namely a refreshingly crisp, clean taste and a nice bit of sweetness. 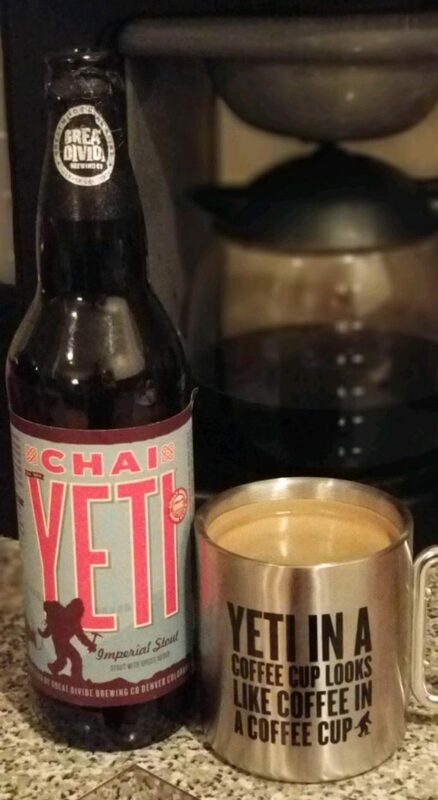 My wife and I hit up the beer store the other day and after looking through our options decided to bring home a Pack of Yetis – a box containing three different versions of the Yeti stout plus the handy little mug shown below. Having already decided on purchasing one bottle of the Chai Yeti for $11-12, deciding to spring the extra $10 for the rest of the haul was an easy choice. 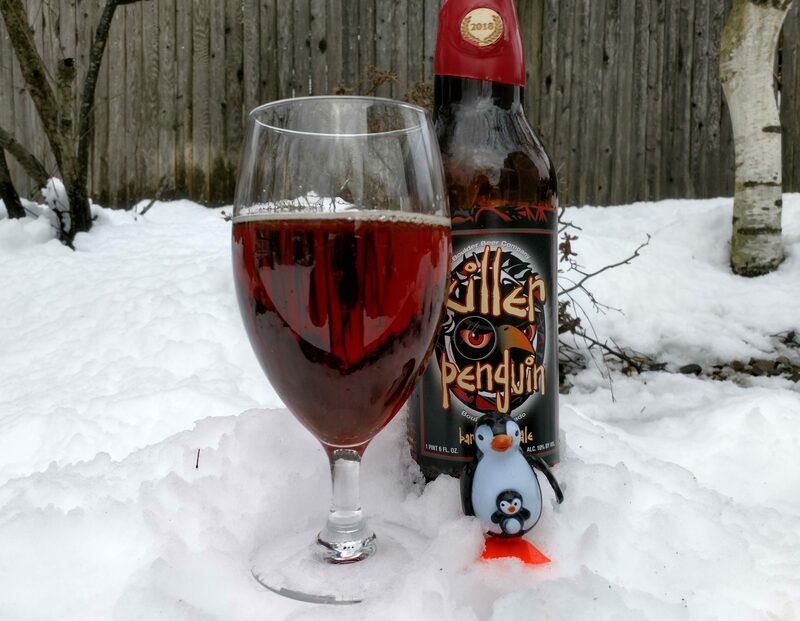 Description: Per the brewery’s website, this version of the beer blends traditional chai spices of cinnamon, green cardamom, black pepper, ginger, nutmeg, and vanilla into their malty, roasty Yeti stout. Appearance: It poured a thick black body topped by a dark tan head. Smell: Sweet dark malts with a hint of light roasted coffee and chai spices. Taste: Creamy sweet malts upfront with the chai influence coming through towards the finish where it comes out just ahead of the base beer’s bitter and moderately roasty finish. Mouthfeel: The body was thick was a touch below moderate level of carbonation. Hype: Personally elevated. The regular Yeti was one of those beers that really got me into stouts so many years ago and I was very interested to see what this version was all about. Overall: Highly enjoyable! 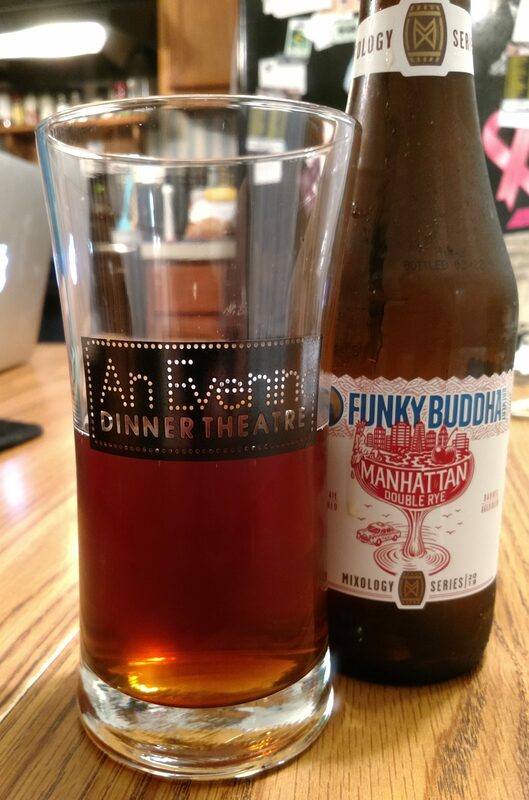 The chai was a nice addition to an already solid base beer and served to really compliment the flavors of the original brew. Don’t let that cute, unassuming appearance fool you. That wobbly little bird would off you in a second if you were a fish. I’m just going to admit now that I bought this one on name alone so I could have some fun with it. With a major snowstorm approaching, how could I resist? Description: Not too much to say about this one other than link to the brewery specs here. My bottle was from the 2018 vintage. Appearance: It poured to a bubbly, reddish-light brown body with some off-white lacing lining the top edges of the glass. Smell: Subtle sweetness from dark fruits and caramel malt. Taste: This has a solid caramel malt backbone throughout that was topped by notes of cherry and dark fruit on the front end and an aggressive mix of resinous earthy hops towards the finish. The ending tastes combined a sticky, bitter sweetness and warming alcohol presence. Mouthfeel: Medium to medium-plus body with a roughly moderate level of carbonation. Hype: None that I was aware of, this was a complete impulse buy based off of the name alone. Overall: I liked this a lot, but I must say it was really not what I was expecting based on the style and description. I suppose it technically fits within the description offered on Beer Advocate, but I found myself thinking of this more as a red IPA than a barleywine. 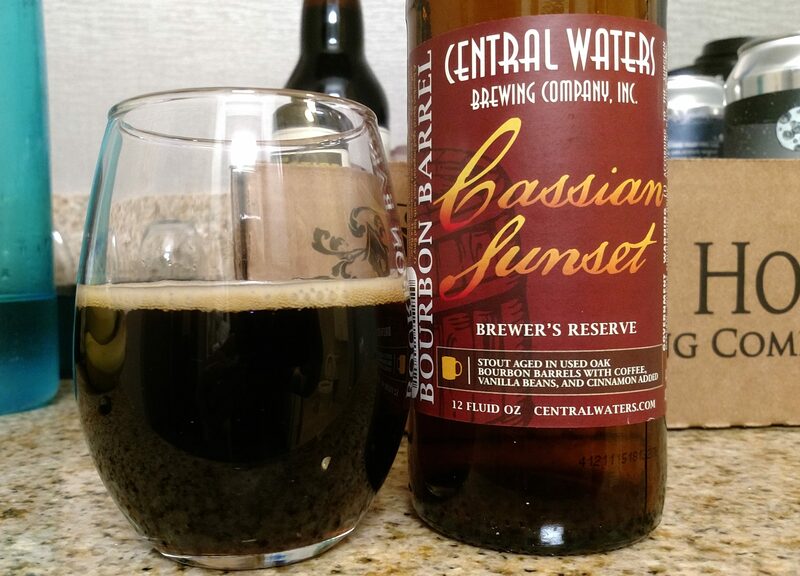 One of my greatest discoveries while blogging here has been the Central Waters Brewers Reserve Series. So far I have tried and reviewed four beers from this series and each of them left me impressed. Could this one continue the trend? Description: An imperial stout aged in bourbon barrels with coffee, vanilla beans, and cinnamon. Appearance: Poured into surprising nice hotel-furnished glassware with a thick, black body topped by a foamy off-white head. Smell: An incredible mix of creamy sweetness and chocolate fudge, capped off by a moderate bourbon finish. Taste: Deliciously close to the smell. 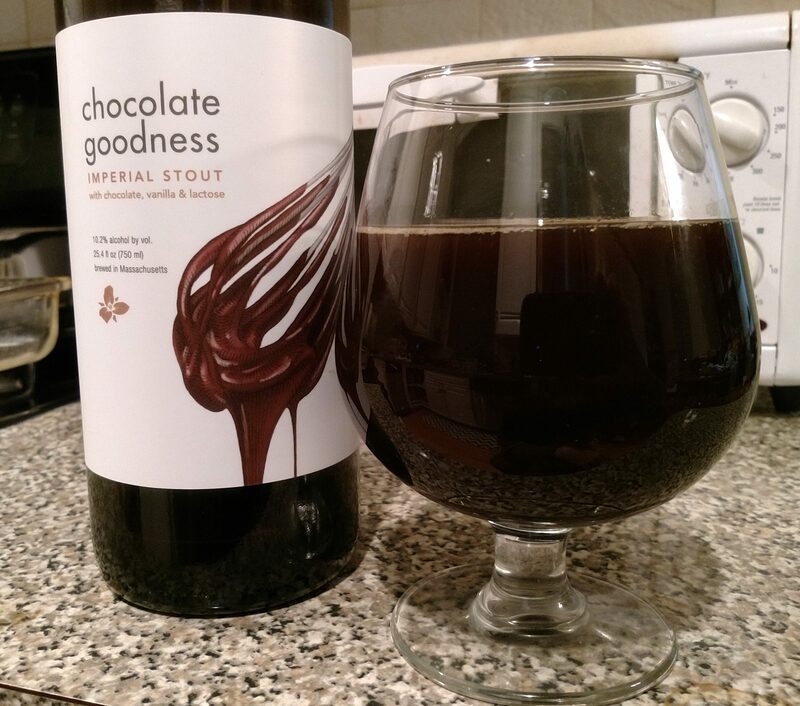 It opened with creamy, rich dark malts followed by a big chocolately/fudge presence with hints of cinnamon and vanilla mixed in for good measure. A moderate and smooth bourbon barrel finish brought the beer to a pleasantly warm finish. Seemed like the longer this sat in the glass, the better it kept on getting. Mouthfeel: Smooth, thick body with very low level carbonation. Hype: I certainly had high hopes going in, but I can’t really say how the beer community at large feels about this. I have seen plenty of online enthusiasm for this series though. Overall: This one wowed me. Huge creamy dark malts and sweet chocolate notes kept the cinnamon and vanilla in their ideal roles as supporting flavors while the finish nicely showcased the barrel aging process. A four pack of these bottles in the $15-16 range is an easy buy and one I intend to repeat. 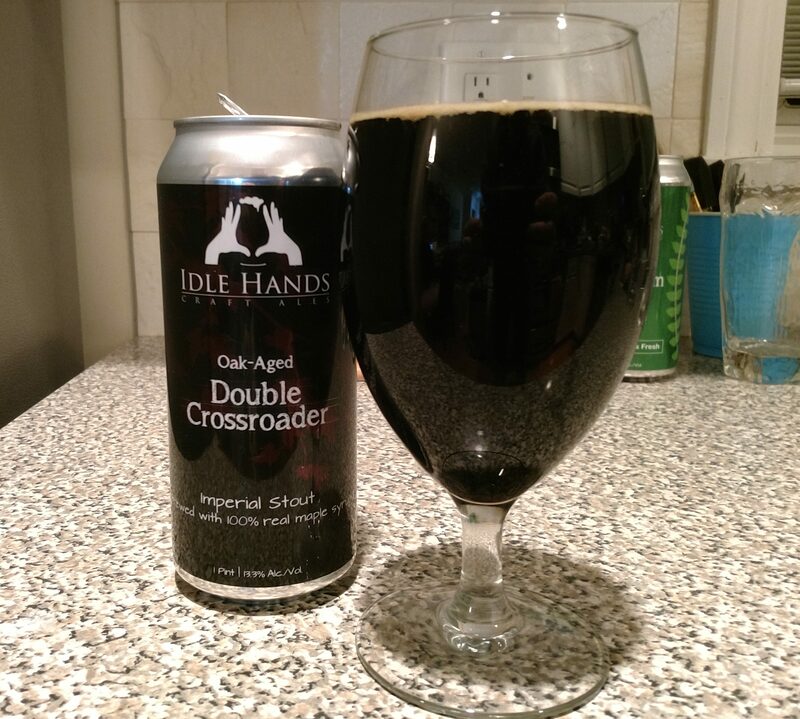 If big dessert-like stouts are your thing, you need to try this.